These useful cards teach basic Signed English vocabulary and the associated signs in flash card format for easy learning. Each card has a word on one side and the corresponding sign illustration on the other side. These make a great tool for teaching ASL/Signed English to those who are interested in learning the basics in Signed English. 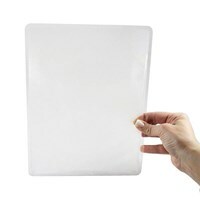 The flash cards are good for all age groups, young and old. 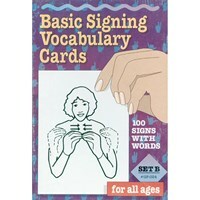 Set B includes 100 Flash Cards that contain signs with words. 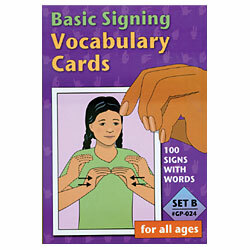 For additional vocabulary and Flash Cards, Basic Signing Vocabulary Cards (Set A) is also available and is a continuation of Basic Signing Vocabulary Cards (Set B).